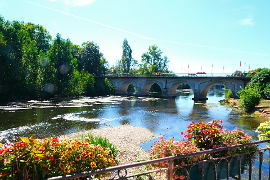 Between Mussidan and Perigueux on the River Isle is the village of Saint Astier. The village began in the 7th century when the hermit Asterius gave his name to the place. 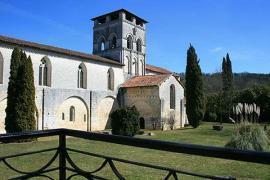 In the 8th century a monastery dedicated to Saint Astier was built. 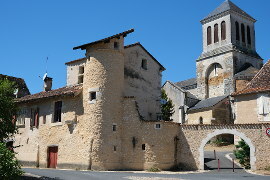 The original monastery was destroyed by Normans and rebuilt the following century. There is a statue of Saint Astier in one of the small squares near the church. This statue is in bronze and was erected in 1901 to replace a stone statue which had fallen into ruins. 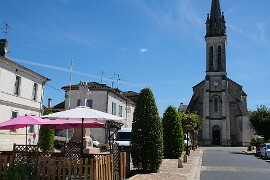 The village has a pleasant centre, spreading out from the church, with some colombage (half-timber) houses and some Renaissance houses. Walk down Rue de la Fontaine to see the best of the colombage houses. The lovely Renaissance building in the main photo above is found on the Place Gambetta. 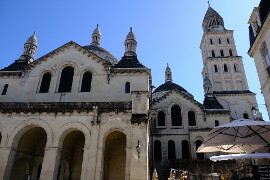 If you are looking to eat out in Saint Astier then Thursday evening in July and August is a good one to choose as the restaurants around the Place d'Eglise get together every summer to organise a concert that you can listen to whilst sitting outside the restaurants to enjoy your meal. If you are looking for a nice picnic spot wander down to the river edge where there are benches with attractive views over the river and stone bridge. Cross over the river and you get some of the best views of the village. Market day in St Astier is Thursday. 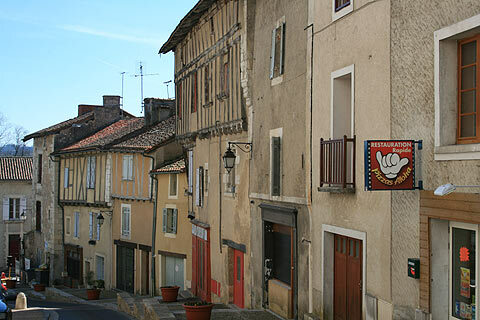 This is the best day to see Saint-Astier at its most animated and most colourful. At various times of the year the Thursday morning market incorporates a truffle market and a foie-gras market. At St-Astier, the large network of underground lime quarries can be explored on a guided tour. The small town of Neuvic is nearby with its chateau - the Chateau Mellet - and botanic garden which can be visited. The nearby 16th century Chateau de Puyferrat can be visited in the summer for a guided tour by the owner. 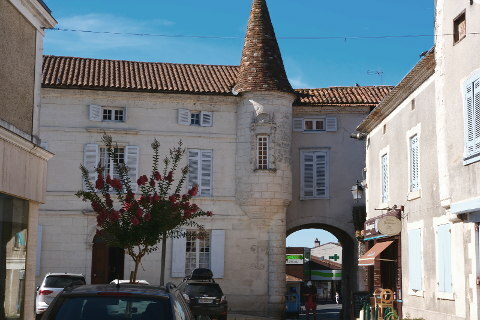 The chateau is an attractive one in with pointy roofs and fine woodwork. From here you get good views over Saint Astier and the surrounding countryside. 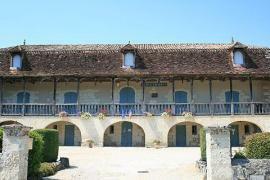 The chateau is 2km from the centre of Saint-Astier.